SCHWARZBURG-RUDOLSTADT, a tiny principality in the Thuringian mountains, is the topic of Charlotte Zeepvat's Family Album in this issue. 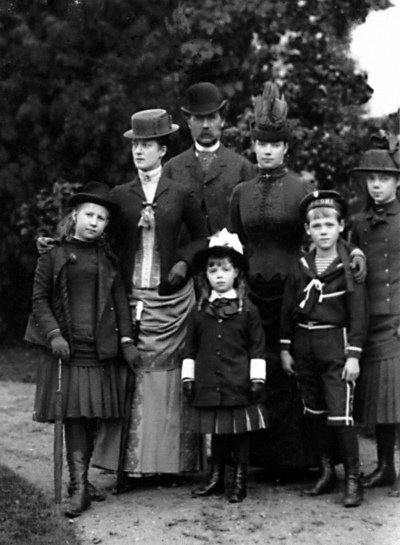 Also, read about the Duke of Parma, Carlo Ludovico - the Anti-Hero, and about Appleton House - the home of Carl and Maud, later King and Queen of Norway. 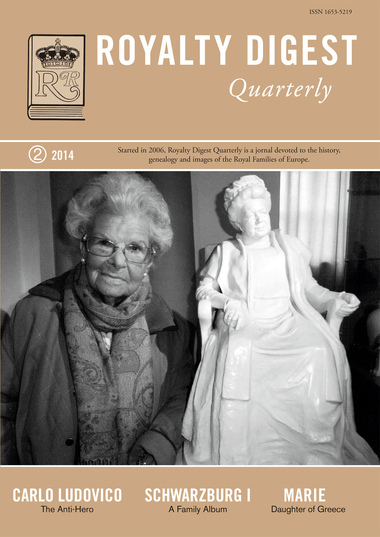 The article on Empress Alexandra's War Relief Work continues and there is also a biography of Princess Marie of Greece and Denmark, Grand Duchess of Russia, as well as The Tercentenary of the House of Hanover. 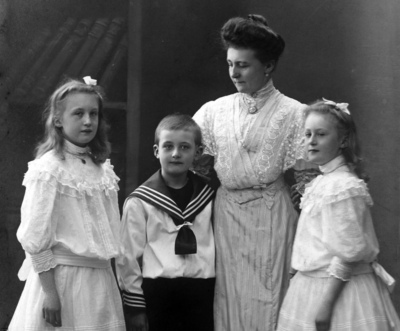 The last of the Schwarzburgs; Marie Antoinette, Friedrich Günhter and Irene with their mother, Alexandra of Anhalt. 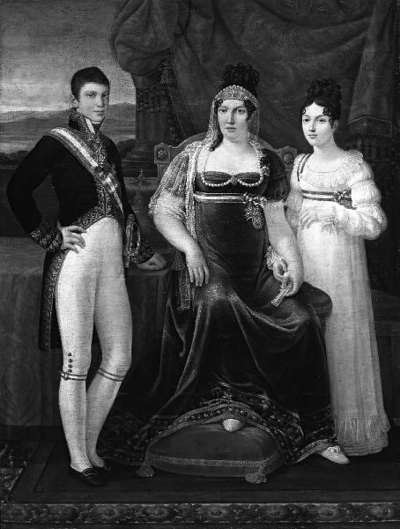 Carlo Ludovico of Parma with his sister Maria Luisa and their mother, the Queen of Etruria.